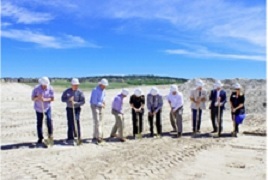 Walker & Dunlop, Inc.(NYSE: WD) (the “Company”) announced today that it structured a $28,162,800 construction loan for Jackson Creek Senior Living, a 137-unit assisted living facility that will be located between Denver and Colorado Springs in Monument, Colorado. The Company’s team, led by Ralph Lowen, arranged the property’s financing with the United States Department of Housing and Urban Development (HUD) on behalf of a local developer, an affiliate of CSI Construction. Mr. Lowen’s team structured the loan at 90 percent of total replacement cost with an 18-month, interest only construction period followed by a 40-year, fully amortizing permanent loan. The financing was arranged through HUD’s Section 232 loan program, which provides lenders with the Federal Housing Administration’s mortgage insurance to protect against losses when refinancing nursing homes, assisted living facilities, and board and care facilities. Scheduled to open in late 2018, Jackson Creek Senior Living will include a three-story, 128,600 square-foot building with 80 assisted living, 30 memory care, and 27 independent living units. The asset is located on 6.4 acres of land and surrounded by the beautiful views of the Palmer Divide. Community amenities and services include select dining areas, tailored activities and wellness programs, guest apartments, barber and beauty salon, chapel, community store, concierge services, 24-hour staffing and on-site nursing staff, and local transportation.